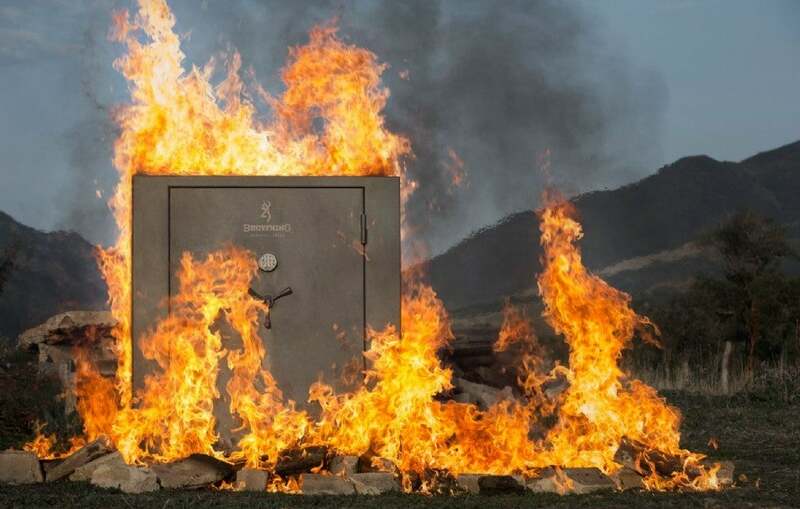 The Black Label Mark V Blackout safe gives you the rugged quality, security and fire protection that you can count on. The Blackout graphic lends patriotic new flair to the slick tactical black finish. 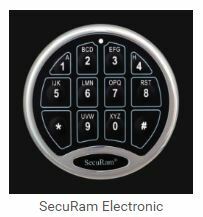 The 1400° F/60 minute fire protection rating provides piece of mind against disaster. 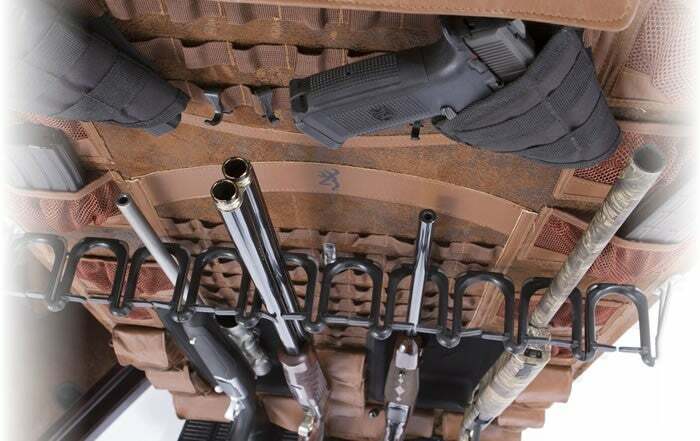 The CMS Adjustable Interior and DPX door system provide versatile storage for guns of all lengths. This is a great looking safe with tactical appeal. When you get it in your home or gun room it will go beyond protecting your firearms and gear from theft -- it goes a long way in setting the mood for what is important to you. In other words, it will look very cool. The shield logo is special in the selection of Browning products you find it on. And in the message it sends. Although you may be an avid hunter and/or an accomplished weekend clays shooter, what you are really saying is that you are a "gun guy." A person who loves the history and mystic of guns and everything about them. And that you enjoy and appreciate the history of firearms in personal protection and how they have assured freedom around the world. Perhaps this is overstating it a bit, but for some of you this will be a perfect fit.